9Disclaimer: Content presented on the American Football in Central America website is intended solely for informational purposes and carries no express or implied warranties. 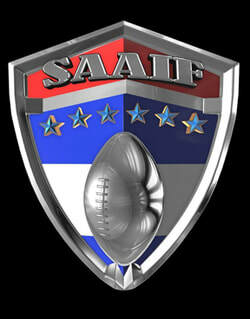 The content of this website has been prepared by the webmaster promoting the sport of American Football in Central America. The information, and any opinions herein based upon, has been obtained from sources believed to be reliable, but which may not have been independently verified, and no guarantees, representations or warranties are made as to its accuracy, completeness or suitability for any purpose.